Much more than a human food and fiber crop, industrial hemp has plenty of other applications in farming to help farmers become more productive and profitable. Hemp cake or hemp seed meal is the byproduct of cold pressing hemp seeds to extract oil for human consumption. The cake retains a significant quantity of protein and other important nutritional elements, making it ideal for use as animal fodder and also as a fish feed. Pathological side effects in animals have not been observed when byproducts of industrial hemp are used as stock fodder. 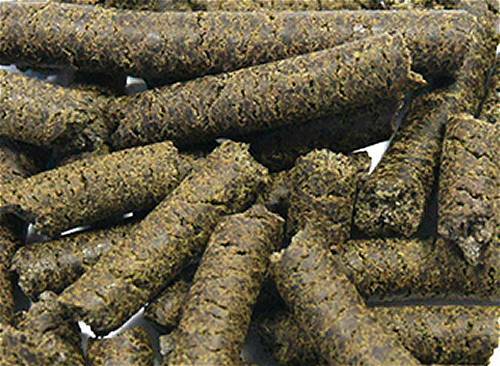 Trials carried out using hempseed cake as a protein feed instead of soybean meal to intensively fed growing cattle indicated similar weight gain, but an improved rumen function; due to hempseed cake having a higher amount of fibre than soybean meal. In Denmark, a hemp oil product was added to the diet of piglets and weaners that led to a significant improvement in piglet survival. Hemp seed meal added to the diet of laying hens has been found to improve omega fatty acids in the eggs they laid. With regard to fiber, Dutch farmers have been feeding cattle industrial hemp fiber as a supplement for many years, with the cattle reportedly providing more milk and generally experiencing better health. Humanity has been using hemp as a stock feed for thousands of years. While its use should be widely embraced, it is still banned in many regions over ill-founded fears THC (the intoxicating compound) could contaminate meat and other animal products; even though industrial hemp is very low in this cannabinoid. This attitude is starting to change; for example, in March 2017, legislation was passed in Colorado to enable the study the feasibility of using hemp in animal feed. In Australia, rules vary from state to state. In Queensland, denatured industrial hemp seed (seed that cannot germinate), its oil and meal can be fed to animals. Leaves, flowering heads and attached seeds cannot. Phytoremediation is the use of plants to assist in cleaning up contaminated soils – basically a soil detox. The contaminants are taken up and stored by the plant, which is then harvested and processed for whatever non-food purpose where possible. 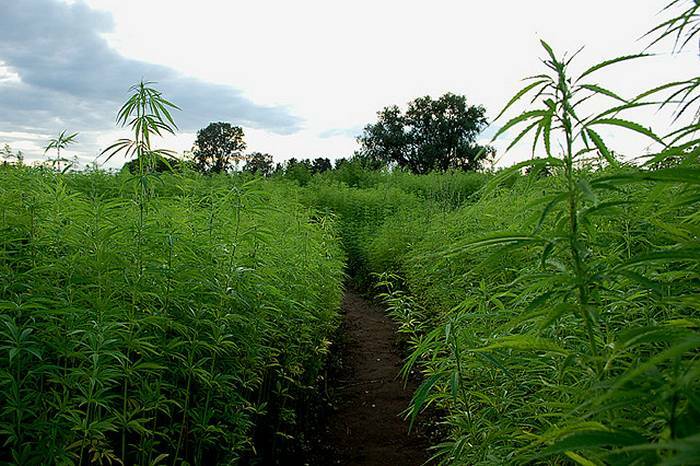 Industrial hemp has a reputation of being a good phytoremediation agent. An example of industrial hemp’s use in phytoremediation include it being grown on farmland outside of Italian city of Taranto, which had been poisoned by the local steel industry. Hemp is even being used at the Chernobyl nuclear power plant in Pripyat, Ukraine to help mop up radioactivity. It was also being considered for the Fukushima nuclear disaster area in Japan to help with radiation decontamination. The plant can also be used to address oil and diesel spills on farmland. It can be dug into the ground, where the hemp then converts the fuels to harmless substances. Research is also being carried out in relation to the crop’s potential for addressing soil salinity. Unlike some crops, industrial hemp can give back to the land; even while it’s being grown for cash crop purposes. This can occur when retting hemp in the field for fiber and even when the plant being grown for seed; as the fallen leaves add nitrogen. In Australia and in other countries, compacted soil caused by cropping traffic and ploughing activities are common forms of subsurface compaction. In Western Australia, it’s estimated lost crop and pasture production attributable to compaction are around $330 million a year. Industrial has a deep tap root system in normal soil but can still grow in compacted soils, helping to repair and aerate them. In a compacted soil scenario the taproot is shorter, but the plant generates more lateral roots. These lateral roots can also help bind the soil, reducing erosion. As hemp plants can be grown very close together, this also helps prevent the loss of topsoil. Industrial hemp can provide a low cost and super-absorbent bedding material for farm animals. Hemp bedding is sourced from the hurd of the plant – the stalk material. It’s mulched into a straw-type material for this purpose. Along with its antibacterial and anti-fungal properties, hemp bedding doesn’t contain some of the problematic phenols that may be present in other plant-based bedding products. There is no waste with hemp – every part of the plan can (and should) be used. Hopefully more farmers throughout the world will be able to start taking advantage of industrial hemp’s full potential.